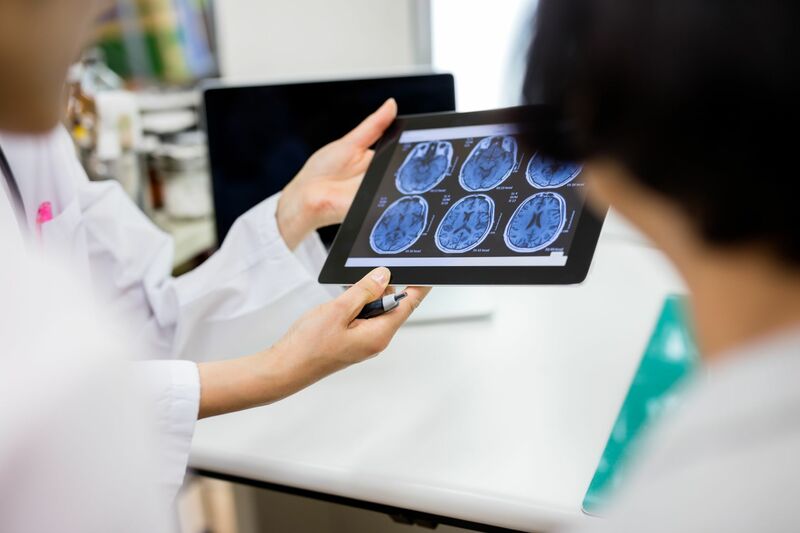 We provide leading-edge diagnosis and treatment of brain injuries caused by sudden brain trauma, using the broad array of medical and support services available across Northwell Health Institute for Neurology and Neurosurgery. If you have a brain injury caused by a sudden trauma, expert diagnosis and treatment are critical for you to have the best possible recovery. At the Traumatic Brain Injury Center at the Northwell Health Institute for Neurology and Neurosurgery, our physicians are available 24/7 to provide you with the latest multi-modality treatments for head injuries ranging from mild conditions, like concussions, to severe brain injuries. We address both the immediate medical and long-term rehabilitative needs of our patients. Our multidisciplinary team of neurosurgeons and neurologists—as well as pediatricians, neuropsychologists and orthopedists—designs a personalized traumatic brain injury (TBI) treatment program, depending on the extent of the condition, to ensure maximum recovery from sudden brain trauma. Approaches to traumatic brain injury can range from rest and observation to medical management with ongoing intracranial pressure and brain oxygen monitoring, to performing decompression surgery for pressure relief. Electroencephalography may also be used to ensure that the patient is not experiencing any seizures. Comprehensive evaluations for memory loss and other cognitive problems are crucial to determining what sort of follow-up care may be needed. Our physicians also work with patients who are unable to speak due to their injury to establish alternate methods of communication, such as using eye contact and other nonverbal cues; ensuring that the patient can communicate is key to neurorehabilitation. 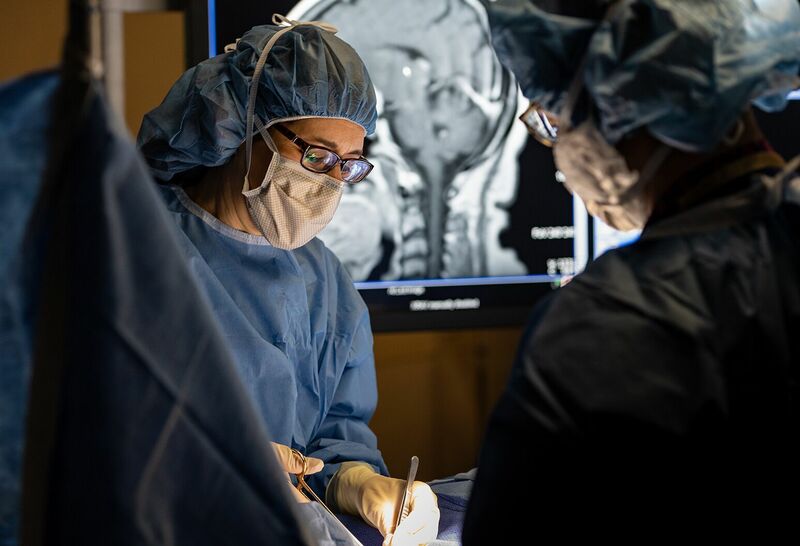 At the Institute for Neurology and Neurosurgery, our traumatic brain injury specialists work closely with physicians in our designated trauma centers. Across Northwell Health we have multiple certified trauma centers equipped to address all levels of medical and traumatic emergencies. The addition of North Shore University Hospital’s air medical transport program (SkyHealth) further enables our Trauma Center to treat the most critically ill patients, including those with traumatic brain injury. Moreover, our neuroscience ICU plays an important role in providing around-the-clock monitoring of changes in our patients’ brain function and in post-surgery management. Through Northwell Health’s inpatient and outpatient neurorehabilitation programs, patients with traumatic brain injury receive comprehensive care from physiatrists, physical and occupational therapists, speech-language pathologists, neuropsychiatrists and neuropsychologists. Our experienced team of specialists can help patients contend with the psychological and social challenges of their injury and can improve cognition, communication, mobility and the ability to perform daily household activities. Our goal is for patients to regain a sense of normalcy in their lives. At the Traumatic Brain Injury Center, we are not just experts in diagnosing and treating traumatic brain injury, we are also adding to the body of research and knowledge about brain injuries. We offer clinical trials with novel devices, such as a Portable Neuromodulation Stimulator (PoNS) device, designed to improve balance in patients following a mild to moderate traumatic brain injury. William Gay was nervous when he needed neurosurgery. Huntington Hospital provided the confidence he needed to get through it. Jamie Ullman, MD, and John Abrahams, MD, discuss what happens to the brain during concussions.